The footsteps of a snap election have been getting louder in Spain amid the country's socialist minority government's unrequited efforts to find necessary support from other political parties in Parliament for the government's 2019 budget. Jose Luis Abalos, the minister of public works in Spanish Prime Minister Pedro Sanchez's administration, said in a meeting Monday in Madrid that early general elections cannot be ruled out as "one of their options" and may be held on the same day as municipal, regional and European elections on May 26, 2019. "You can't venture anything, between now and May there is a lot of time," he said. Sanchez who was sworn in as prime minister by King Felipe VI on June 2 after the ousting of conservative Mariano Rajoy, said Abalos' statements were "common view" and an early election was possible. Under Spanish law, Sanchez would have to do so by April 1 at the latest for the vote to be held on May 26. Sanchez had said last week that if they cannot find the necessary support for the budget from other political parties, they would govern the country with legislative decrees. 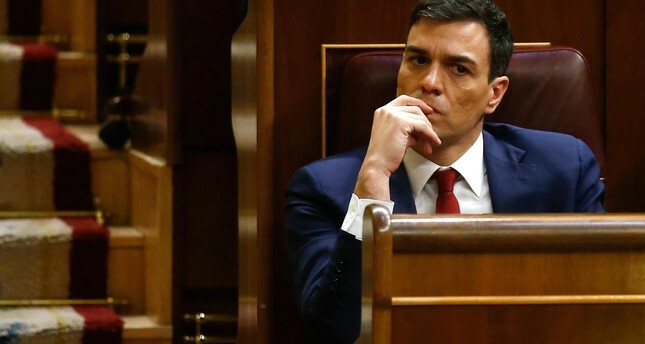 The newly-formed minority government of the Socialist Worker's Party (PSOE) took power after dismissing the conservative People's Party (PP)'s minority government with a vote of no confidence. In the general elections held in June 2016, none of the political parties had been able to take the majority in Parliament and since then the established minority governments haven't been able to provide political stability in the country.